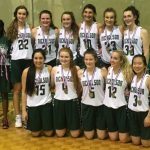 BELLEVILLE – The senior girls basketball team from Nicholson Catholic College is headed to the Ontario Federation of School Athletic Associations‘ single A championship. Teams in this area have to win Central Ontario Secondary School Athletics gold to make it to the provincial championships. 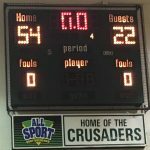 The Nicholson Crusaders did just that Wednesday night when they beat the Port Hope Spartans 54-22. 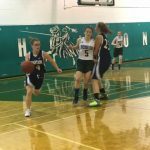 The battle to qualify for OFSAA started at 2 p.m. when Nicholson faced the Brock High School Bulldogs in the COSSA semi-final. The team’s guards, Jane Goyer and Alli Roach, were huge for the Crusaders and led the team to a 53-46 win. 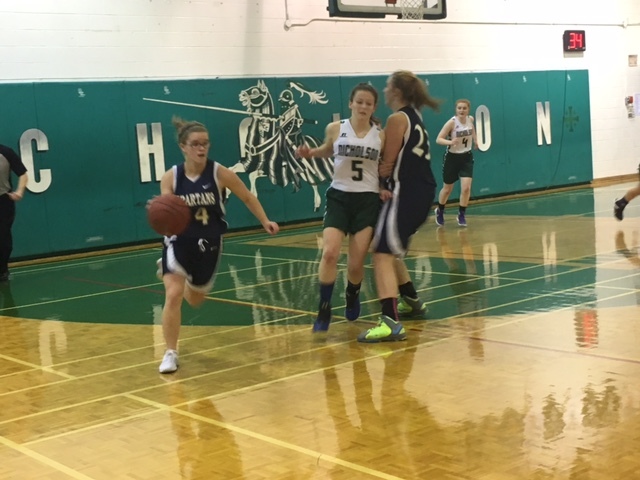 The final game for COSSA gold and a slot in OFSAA was a blowout for the Crusaders. With half the game in the books, Nicholson was leading 24-12. In the third quarter, the Crusaders still had a huge lead, but got into some foul trouble. With the Spartans missing some foul shots and Nicholson’s big lead, the odds were against Port Hope, and they never had a chance to get back in the game. 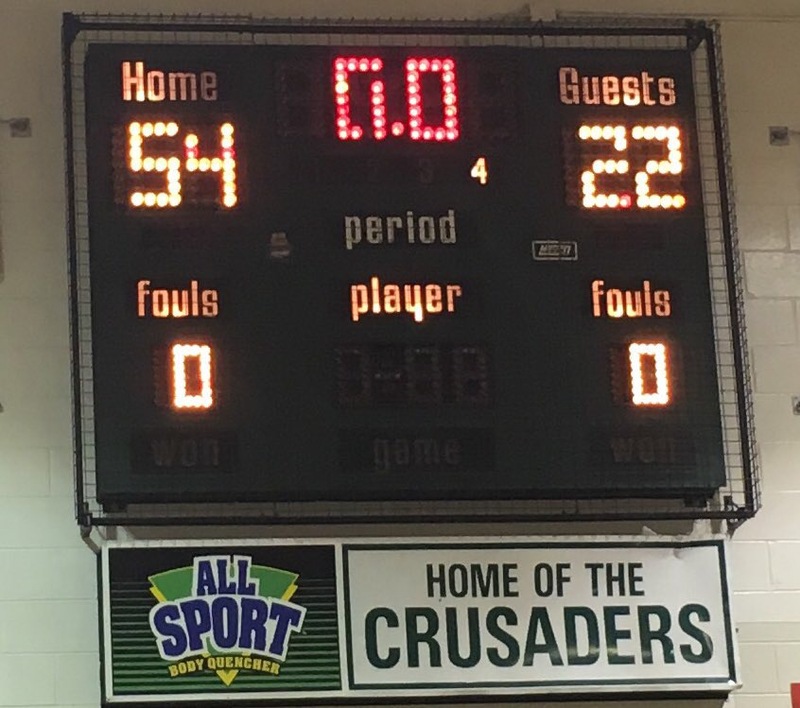 The Crusaders ultimately won the game by 32 points. NCC Coach Jim Barbeau said he is very happy for the girls on his team. Goyer, who was a key player in both wins to qualify for OFSAA, said it’s nice to see her team’s hard work finally pay off. 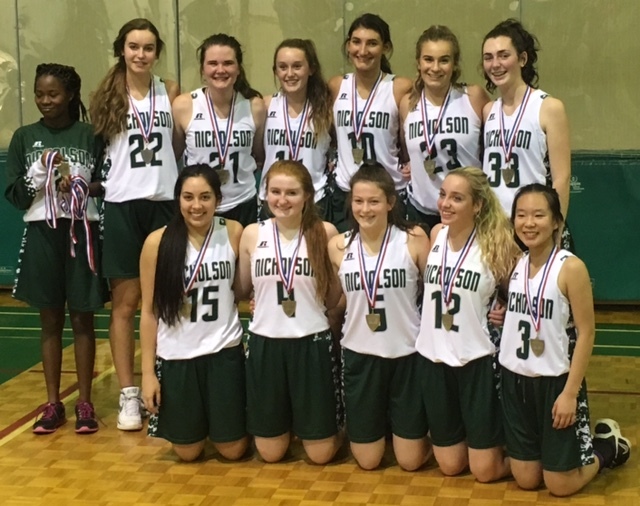 “Our team’s been working really hard since the middle of the summer, so it feels really good to win something, and now we’re going to OFSAA,” said Goyer. She added that in the past the team had a hard time working together, but with a lot of dedication and time spent practicing, the team pulled through to win COSSA gold. OFSAA is held every year at different locations across Ontario. This year it takes place in Timmins from Nov. 24 to Nov. 26.